Tonight, we're going to talk about my head. "Why is Jared's head so large?" "What happened to Jared's head?" "Was Jared's mother or father a giant pumpkin?" Well, now I'm going to reveal the story behind my head. My mother spent many hours in labor with me. Despite her best attempts at passing me from her womb, she just couldn't. My head was already too large to fit through such a tiny hole. Mind you, the year was 1982, so some of the modern birthing techniques at the time were a little... outdated. Since I wouldn't come out, her doctors had to go in for me. They went in with a giant pair of forceps. Well, that was the beginning of the trouble with the shape of my head. 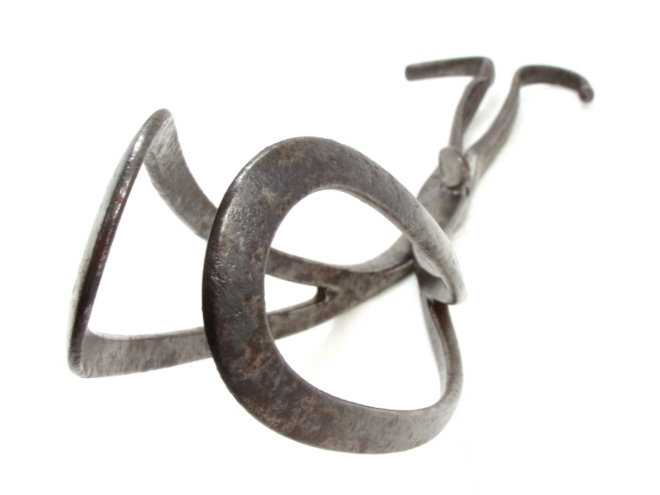 As if my brain-basket wasn't already awkward enough, the forceps contorted and misshaped the plates in my skull. As they pulled me out, it caused even greater damage; this damage was unknown at the time. As I progressed into infancy, my parents obviously realized that they had one big-headed baby. Not only was my skull large and misshaped, but my head also tended to roll to one side (obviously balance was an issue... and it still is to this day). Upon the recommendation of my doctor, they used the following cure to "fix" the damage. As you can see, their revolutionary cure was a brick. 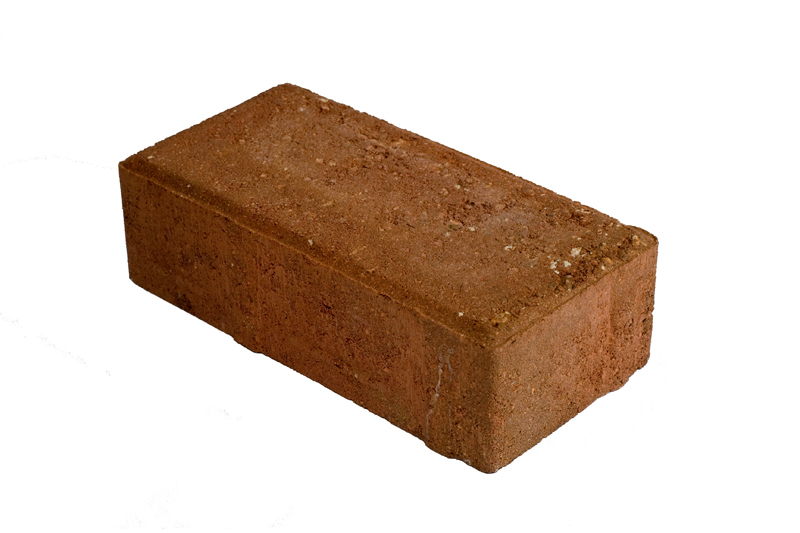 That's right folks... a brick. My parents wrapped multiple bricks in cloth diapers and placed them in my crib around my head. I'm not even going to explain how idiotic this plan was. Surely, you've already come to the same realization. Apparently, the bricks would magically make my head straighten out. Uh... let's just move along. As I grew up, my head just stayed its massive, peculiar size. 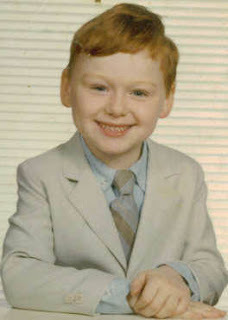 Here I am at age 3. Notice the very attractive bowl cut used to "hide" my head. 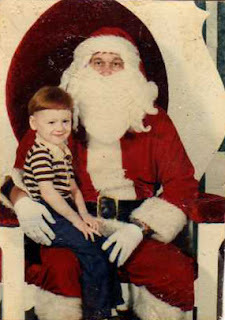 Finally, a Santa that wants a kid off his lap. And here I am a few years later. That head just won't quit! Notice how one side of my head seems to be higher than the other? That's because it is. If I were to shave my head today (and that day is coming), you'd notice a few important things. - The back of my head is totally flat. Guess that's what I get for sleeping on bricks as a baby. - The skull plates on the back-left side come to form a knob, whereas the back-right side just sort of rounds off into oblivion. - As you get closer to my neck, the plates in my skull form a cliff and... then there's nothing. I can feel the base of my brain area and top of my spine. At least everything is in proper working order. Apparently, the doctors told my folks that the shape of my skull actually made me smarter than normal. It's like the forceps massaged the areas of my brain to make me a genius! Great, now I'm not only smart, but I'm also self-aware of how silly my head looks! I'm like a dented can of pears you buy at the grocery store on clearance. Sure, the outside looks like crap, but at least everything on the inside is as it should be. Right?